Ghost credit cards | Ghost debit cards | How are they different? What is a ghost credit card and how does it work? A ghost credit card is a one time use business credit card that offers enhanced expense management controls and protection from fraud. Businesses are constantly searching for payment solutions that help them to prevent fraud, improve expense tracking, and automate all types of payments in a single payments workflow. One solution that can allow businesses to enjoy these benefits is a ghost credit card. Statista reports that there are an estimated 1,041 million credit cards in circulation in the U.S., and Americans are a reported $0.83 trillion in debt. Since credit cards are now coming with EMV chips for added security, more thieves are turning to the internet to commit fraud. According to Javelin Research, the number of fraud victims in the U.S. increased to $16.8 billion in 2017, largely because of online fraud. Ghost credit cards help to prevent fraud. 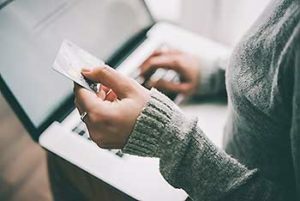 They are randomly generated numbers that can be used to make purchases online, but the numbers do not reveal identifying information about the business or access to the underlying credit accounts. Who uses ghost credit cards? Why do they use them? Ghost credit cards are used by companies that need to have a payment method that is secure while also being able to group spending by different departments or suppliers. Companies can assign individual ghost credit card numbers to each department. All of the employees can use that number to make purchases, which are then charged back to the department. Companies can also assign ghost credit card numbers to suppliers or vendors with which they conduct a high volume of business. Instead of having to process invoices for every purchase, the purchases can be charged to the assigned number by the vendors or suppliers. When you generate ghost cards to be used at your company, you can control what they can be used for, how much can be spent, and when they can be used. You can also restrict purchases to the types of spending that different departments need to complete. For example, you can assign a ghost credit card to your IT department when it is upgrading the computer equipment in your office. The IT staff can charge components, monitors, desktops, laptops, and other computer equipment to the number as they complete the upgrade. All of the purchases will be traced back to the IT department, and the ghost number can be limited to making the hardware purchases from specific vendors. This can allow you to check to make certain that the IT department is coming within the budget that you have chosen for the upgrade. Ghost credit cards offer businesses multiple advantages. Ghost cards broaden the benefits of a p-card program to a much larger number of employees without having to worry about potential control issues involved with giving every employee an individual card. The cards help to lower the costs of invoice processing by reducing the number of invoices from high-volume suppliers. Ghost cards also cannot be traced back to the underlying credit card account. This means that thieves can’t use the numbers to obtain your company’s information or run up charges on your credit line. How does a ghost credit card compare to a ghost debit card? A ghost debit card is another type of virtual card that may be a better alternative. 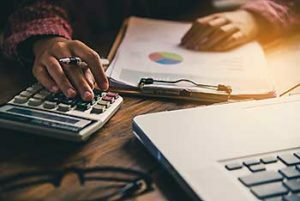 When charges are made to a ghost debit card and charged back to a department, the costs are subtracted from your high-balance deposit account instead of being charged to your credit line. This means that you will be spending your own money and will not be adding to your company’s debt. 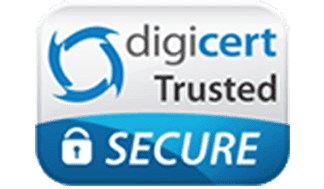 Ghost debit cards provide the same high level of security as other virtual cards when you are shopping online. The numbers are associated with your account but cannot be used by thieves to withdraw funds or charge purchases against your balance. Thieves are not able to trace your ghost debit card back to your company or to access your account. What is the difference between a ghost credit card and a procurement card? A ghost credit card differs from a procurement card in a few important ways. Ghost cards are normally used by large companies that need to track expenses by the department and that need a scalable payments solution. Since they are credit cards, they allow companies to carry balances from month to month, which may incur interest. Procurement cards are a type of charge card that companies can use. The numbers are assigned to individual employees to complete business transactions. Unlike credit cards, procurement cards must be paid in full each month. They do not incur interest or add to your debt. Virtual cards are cards that are not plastic but are instead 16-digit numbers that have been randomly generated together with CVV codes. Virtual cards can be created instantly and can be used within minutes. In most cases, virtual cards are throwaway numbers that are only used one time. Businesses use virtual cards to prevent fraud. They can generate virtual cards and fund them with the exact amount of desired purchases. Once the number has been used, it will expire. This means that a virtual card number will be useless if a thief intercepts it and attempts to use it on something else. How could a ghost debit card be a better alternative to ghost credit cards? Ghost debit cards can be better alternatives to credit cards. They do not add to your company’s debt and may have extensive controls for companies. You can restrict each number that you generate to only be used for certain pre-approved purchases from certain vendors. To get ghost debit cards, you do not need to submit to credit checks since they are not credit cards. The cards do not incur interest and allow automation of various accounts payable functions within your organization. Ghost debit cards can help to reduce fraudulent purchases. You are able to restrict each card to certain expense categories or vendors. Your employees can’t charge unauthorized purchases to the cards, and you are able to see the card activity whenever you choose from your dashboard or by connecting to the API from your applications. For example, if you are working with a vendor that you do not trust, you can assign a ghost card to that vendor for its purchases and place restrictions on the card. The vendor can charge your purchases to the number, but if it tries to use the number elsewhere, it won’t work. Fraud prevention best practices are important to implement at your company. This includes having a clear expense policy in place and training your employees about allowed and disallowed purchases as well as how they can identify the signs of fraud. 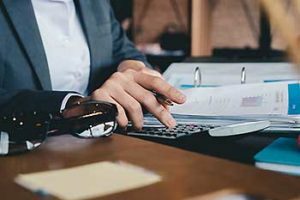 Eliminating antiquated payments processes such as commercial checks, reimbursements, and petty cash can also help to prevent fraud. Making secure payments using ghost cards can prevent access to your money while also allowing you to easily track the spending that is occurring within your company. What features should you expect in a ghost debit card? There are several features that you should expect in a ghost debit card. The company that issues the cards should give you access to an API that offers extensive controls and automation of your AP processes. 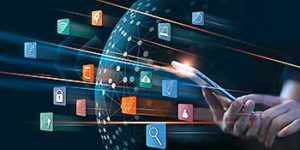 The API should be easy to integrate into your existing applications, and it should allow the transaction data to upload automatically into your accounting software. You should have the ability to restrict different ghost card numbers to different types of purchases, and you should also be able to turn them off or on as you need. For example, when your business is closed for the day or on the weekend, you should be able to turn your ghost cards off so that they cannot be charged by anyone and then turn them on again when you wish. Where can I find a ghost debit card? Ghost cards are available from various business debit and credit card companies and banks, and you can find different offers by researching on the internet. It is important that you evaluate the offers that you find carefully so that you get the best deal. Read credit card and debit card articles so that you can learn more about ghost cards. You should also look for reviews of companies that offer ghost cards so that you can find one that has a strong reputation as a thought and business leader within the payments industry. 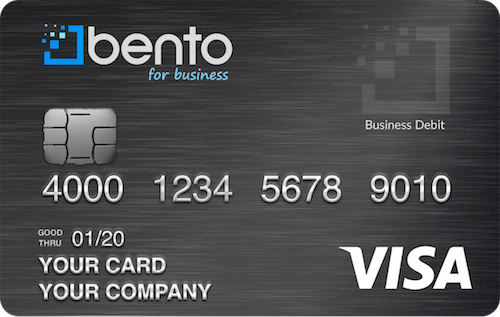 Bento for Business offers business Visa debit cards, ghost cards, and other types of business card solutions to companies of all sizes. Bento provides substantial controls to businesses so that they can control where the cards can be used and how much the employees, departments, or vendors can spend. For the IT department example that was discussed above, you can give the department a card that has been restricted to buying components and peripherals from your chosen contracted supplier. You can restrict the total amount to what you have budgeted. For instance, you can restrict the total amount that can be spent on the upgrade to $20,000. You can further limit the daily spending amount of the department to $2,000 to last for the duration of the estimated 10-day project. The employees will not be able to spend more than you have allocated, and you will be able to see if the upgrade is coming in under budget or if you might need to make some adjustments. Why choose Bento for Business? 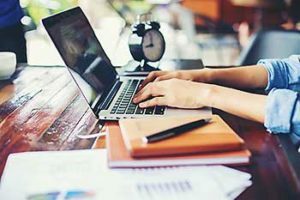 Bento for Business offers smart solutions to businesses for fraud prevention, expense tracking, the automation of payments processes, and expense management to businesses of all sizes. The company offers multiple packages at a variety of different price points. Small businesses can order up to 10 cards for $29 per month, and you will not have to submit to a credit check since the cards are not credit cards. If your business completes $20,000 or more in transactions with your cards, they will be free. Deposits with Bento are insured by the FDIC for up to $250,000 through the Bancorp Bank; Member FDIC. Bento offers a free 60-day trial and a demo that you can schedule to see how the cards might work in practice. To learn more, call 866.220.8455.